Comment: CD(s) & jewel case are in EXCELLENT & PRISTINE condition! Plays flawlessly! Buy with confidence! 100% satisfaction guaranteed! Ships fast, directly from Amazon! 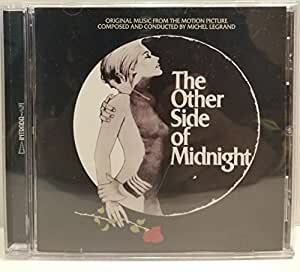 The 1977 film version of Sidney Sheldon's bestselling 1973 novel, The Other Side of Midnight, was not very good, but it had one element that was a complete success--the musical score by Michel Legrand. 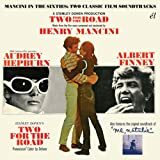 I was a budding composer in college when the film was released, and I actually sat through it twice in theaters, once for the silly, romantic plot and once just so I could hear the score again. I studied how Legrand worked his various themes into each part of the film, and I noted how the sweeping main melody, "Noelle's Theme," kept arriving in almost every scene. This melody acted much like the woman herself--sometimes grandly symphonic, sometimes a simple piano solo, but always there in the background to connect the various other characters with her overwhelming power and passion. Noelle's story--love, hatred, obsession, revenge, murder--is on the epic scale of a Greek tragedy, and Legrand's music always supports it, from the ominous opening ("Prologue") straight through to the triumphant finale ("Adieu, Noelle"). If the film itself had been as good as the music, it would have become a classic. Alas, the movie was a flop, but the score lives on. 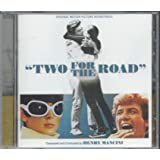 I'm glad this soundtrack album is finally available on CD because I lost my old LP years ago. Listening to it again after all these years, I'm amazed at how fresh and powerful it is. Legrand won several Oscars for scoring other films (The Thomas Crown Affair, Summer of '42, etc. ), but I honestly think this is his best film work. If you're a fan of his, you must experience this wonderful score. Highly recommended. 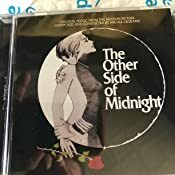 Very romantic and tenderness, "The other side of midnight"I t represents one of the most exquisite and beautiful harmonies for a love story that drinks from a celebrated novel. Legrand composed a sober, elegant, velvety composition, sometimes with a sad and distressed cup but without a doubt one of his best achievements in field of music. They will agree with me that I was an artist at the height of Burt Bacharach.Undoubtedly some music for the soul that remains in the memory. Well, it’s about time this soundtrack was produced on CD. Still have the LP, and it’s great to finally have it on CD. One of the great ‘easy listening’ music scores. Hauntingly melodic. 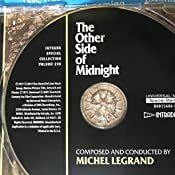 It’s criminal that so many forgettable LPs made there way to CD so quickly and we’ve had to wait quarter of a century for ‘The Other Side of Midnight’ - even at double / triple the price of what most CDs cost. Well worth the money just to own it. Yes, I could have converted the LP to mp3, but I much prefer the original. Thank you for this long overdue gem, Intrada. 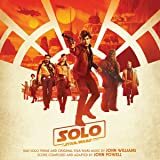 5.0 out of 5 starsThe most beautiful soundtrack ever !!! HOWEVER, the recording sound quality is marginal. I am so thrilled to finally get this soundtrack on a CD, I can overlook the poor bootleg sound quality. On some of the tracks, you can hear background noises. (track seven) Still, I love this music too much to give it less than five stars. Whomever burned the master CD, should have used professional equipment. I have burned better quality CD's on my laptop. Anyway, still enjoy this outstanding music!!! Mostly the same themes over and over but what great themes! Corny movie but it has a place in my heart, don't ask me why! Kitschy, 70's melodrama. I really like this soundtrack. 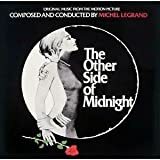 Michel Legrand is a very good composer.